AN OLD BAKERY building in west Cork will be converted into Ireland’s first “rural digital hub” for tech startups. When open for business in November, the 10,000 sq ft complex in Skibbereen will be able to house up to 75 technology and scientific outfits. The building, which will be renamed the Ludgate Hub, was made available by local businessman John Field for the non-profit group, which was brought together by Glen Dimplex CEO and west Cork native Seán O’Driscoll. It was named after Skibbereen-born accountant Percy Ludgate, who in the early 1900s designed an analytical engine in his spare time. While Ludgate died in 1922 and the prototype was never built, it was a blueprint for what would have been the world’s first portable computer. The Ludgate Hub, or Ludgate@Skibbereen, will allow entrepreneurs to work alongside one another in a facility that combines office space, a state-of-the-art videoconference room and access to fast fibre broadband, as well as the chance to link up with academic partners and their research. It follows the model of other succesful centres in Ireland’s cities like Dublin’s Digital Hub, which is currently home to the local operations of hot international startups like Slack as well as dozens of local firms. Communications Minister Alex White said the plan will create 500 direct jobs in the area over the next five years and hopefully serve as a blueprint for other rural areas to become part of “our fast-growing digital economy”. 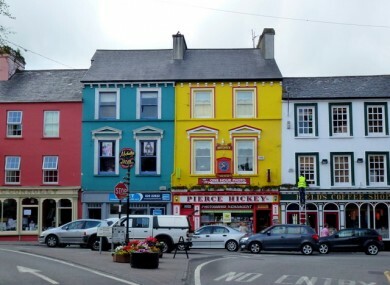 Email “This small town in west Cork will soon be home to Ireland's first 'rural digital hub'”. Feedback on “This small town in west Cork will soon be home to Ireland's first 'rural digital hub'”.